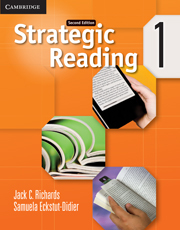 Strategic Reading Level 1 is a reading skills book that contains twelve thematic units, each with three high interest readings. All readings come from authentic sources and have been slightly adapted to be appropriate for study by intermediate-level students. Exercise material surrounding the readings builds students' vocabulary and develops their reading and critical thinking skills. 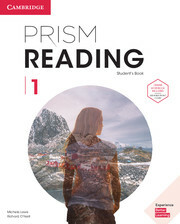 A five-level reading course to help learners develop a range of academic and critical thinking skills to build confidence and prepare for college courses.